It’s not that common for PR firms to invest money into startups, but VSC, a PR firm that focuses on tech and marketing strategy, is debuting a new fund today that focuses specifically on helping hardware startups go to market. 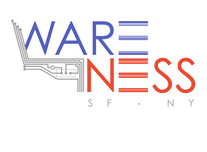 Called Wareness.io, the initiative is framed at a marketing studio focused on hardware, wearables and software for hardware startups. Wareness.io is announcing that $6 million in seed capital is available to startups in increments from $25,000 to $150,000. This capital is being sourced from VSC; and the firm has already made its first investment in Coin, the disruptive electronic credit card that stores multiple cards on one Bluetooth device. A few weeks ago, Coin reached its $50,000 funding goal in just 40 minutes. As VSC founder Vijay Chattha explained to me, the marketing and PR needs of founders that focus on creating hardware are vastly different from those who have digital startups. Specifically, these startups have diverse go-to market strategies, he says. Lately, many of these companies have been supported through crowdfunding and have some capital already. But many have also just raised funding and started to take pre-sale orders on their own sites. Chattha says that Wareness.io has “developed some critical expertise and process” that will give startups an edge when it comes to marketing hardware. Part of this edge, he explains, is in the approach to pre-sales, and not over-promising on delivery dates. VSC will also be consulting on campaign design, product positioning, launch strategy and pre-commerce. The firm says it won’t invest in all the hardware startups it represents. Wareness.io was borne out of VSC’s recent representations of Coin and Bluetooth-enabled digital finder Tile. There are VC firms and even accelerators that now focus on hardware, so it’s not surprising that marketing and PR follows. As Coin CEO Kanishk Parashar explains, he believes having a PR firm that has some “skin in the game,” makes a difference. The real test of Wareness.io, however, will be the success of Tile and Coin (and the firm’s other hardware clients) in the long-run. Both are young startups, and certainly haven’t seen mass consumer appeal or adoption yet.